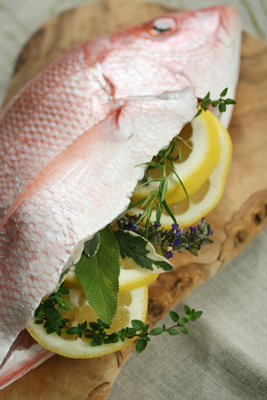 Fresh fish is super easy to cook on the grill and thick fillets cook in just minutes! Fish can also be grilled whole, in steaks or filets, or on a kebob combined with superfoods like red bell pepper (high in Vitamin C), mushrooms (high in niacin and cancer fighting compounds) and onions (high in sulfur cancer-protective compounds. Wild salmon, grouper, sustainable shrimp are delectable served with a chilled rose or white wine, or even sparkling wine. If you’re looking for a no-cook option, ceviche is a summer dream dish, since you don’t have to put on the oven or even fire up the grill to make it. Citrus juice “cooks” the fish, just mix it together and let it sit in the fridge for 4 to 8 hours, then serve. 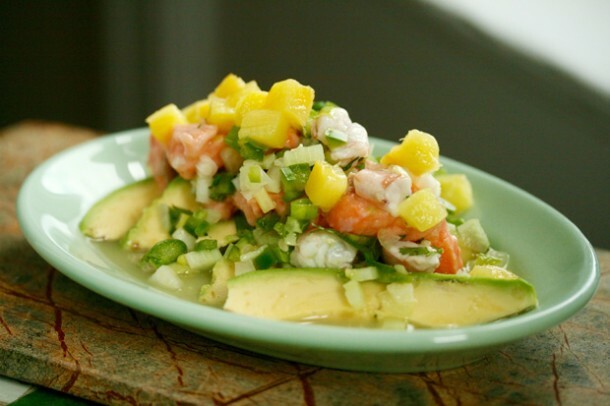 Use the pineapple as a garnish at the end to add sweetness, but don’t stir it into the ceviche beforehand. It contains papain (a compound that’s great for your digestion) but can overtenderize the fish by breaking down the protein. Serve with a chilled Viognier that has notes of tropical fruit. Place the salmon, shrimp, lime juice, and salt in a large bowl. Toss well. Sprinkle the celery, cilantro, jalapeños, and scallions on top. Cover with plastic wrap and place in the fridge for one hour. Toss after one hour and return to the fridge for an additional 3 to 7 hours. Before serving, slice the avocado and arrange it on a platter. Spoon the ceviche over top. Sprinkle with the pineapple and serve immediately. Nutritional Stats Per Serving (1/2 cup): 282 calories, 25 g protein, 15 g carbohydrates, 14 g fat (2 g saturated), 141 mg cholesterol, 5 g sugars, 6 g fiber, 321 mg sodium. 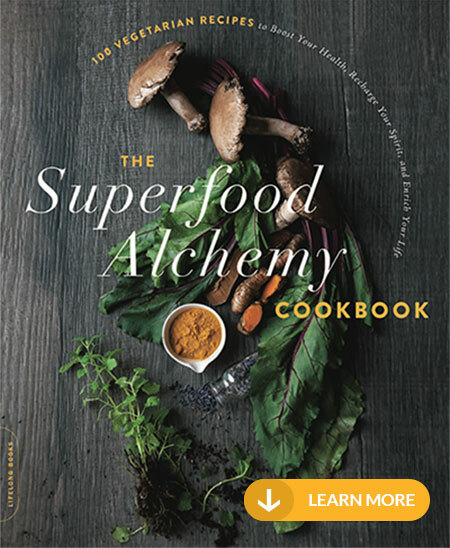 Making a better burger is as easy as starting with superfood ingredients like grassfed beef, mushrooms, and kale. You can make these luscious beef burgers in your food processor ahead of the party and just grill them off when people arrive. 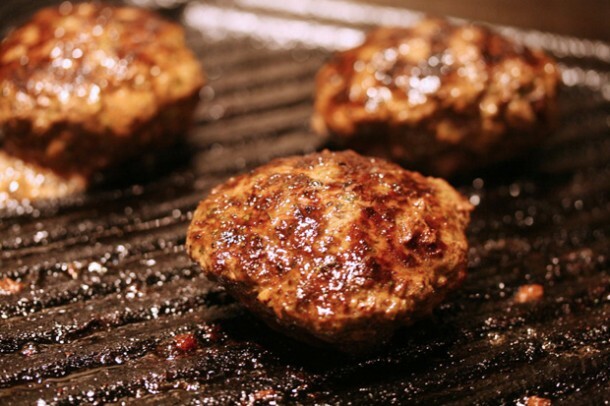 Watch this video on how to grill your own perfect grassfed burger. 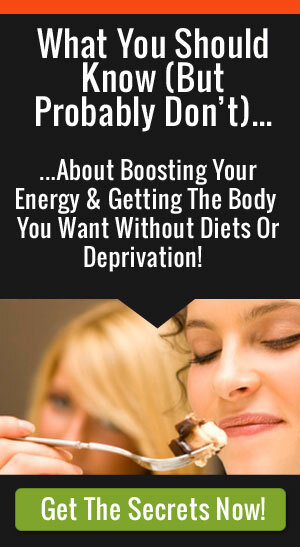 If you’re not a meat eater, no worries! There are plenty of veggie burger options that use whole veggies like portobello mushrooms topped with greens and avocado for example. Or make an eggplant burger by grilling a thick slice of eggplant topped with a thick slice of tomato and a dollop of ricotta cheese. Serve any of these burgers with a lightly chilled red like a Pinot Noir or a Lambrusco. Grassfed has 3- to 5-times the amount of omega-3 fats compared to corn-fed beef — and with grassfed this particular type of saturated fat is the anti-inflammatory kind! This recipe makes 5 burgers, which means you can scale back on the amount of meat you have without noticing the difference (since mushrooms and kale make up the difference). Place the garlic in a food processor and process until finely chopped. Add the kale and salt, chop again. Add the mushroom and process until finely chopped. Add the beef and Worcestershire sauce, and pulse until the beef is mixed well with the vegetables. Form into 5 patties and transfer to a plate. Heat a large grill over high heat. Coat the burgers with the cooking spray and transfer to the grill. 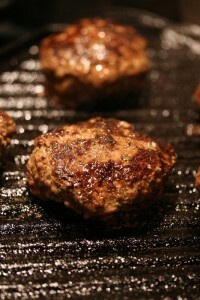 Cook 9 to 10 minutes, turning occasionally until the burgers are well browned and cooked through. Serve immediately with your favorite toppings or wrapped in a collard leaf. Nutritional Stats Per Serving (1 burger with a collard leaf): 191 calories, 17 g protein, 3 g carbohydrates, 13 g fat (0 g saturated), 51 mg cholesterol, 0 g sugars, 1 g fiber, 157 mg sodium. Marinades from the jar can be full of things you’re not banking on for a healthy meal — like GMOs, transfat, white processed sugar, artificial colorings and preservatives. 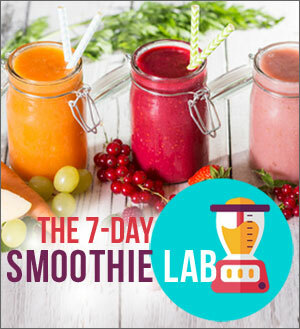 Making your own is super simple, healthier, and far more delicious! Try one of these fun combos, simply follow the directions and place your raw grilling vegetables or meat in a large ziploc bag for 4 to 5 hours, refrigerated. 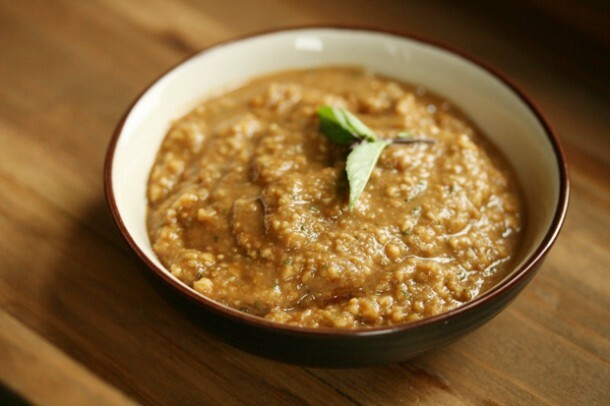 In a food processor, chop 1/2 cup peanuts along with two tablespoons of reduced-sodium soy sauce, gluten free tamari or 2 teaspoons Bragg’s Liquid Aminos with + 1/2 cup water, 1 tablespoon coconut oil and 1/4 cup Thai basil. Use for beef, fish, chicken or veggies. Mix 1/2 cup of balsamic vinegar with 1/4 cup olive oil based mayonnaise and 2 tablespoons chopped capers. Stir in a teaspoon of chopped fresh rosemary and chopped garlic. Use for beef, fish, chicken or veggies. In a food processor, chop 1/2 cup fresh pineapple, one tablespoon of tomato paste + 1 tablespoon of olive oil with one tablespoon of water, and ¼ teaspoon turmeric Add to a zipper lock bag with sliced veggies. In a food processor chop 1/4 cup cilantro, 1/4 cup kale leaves, 1/4 cup yogurt + 2 tablespoons of olive oil or grapeseed oil, with 1/2 cup water. Use for beef, fish, chicken or veggies. Mix 1/4 cup hot sauce such as Frank’s, 1 tablespoon tomato paste, 1/4 cup water, 2 tablespoon grapeseed oil or coconut oil with 2 tablespoon of honey, and 1 teaspoon minced garlic. Use for chicken or fish. Just found out that some extra guests are coming? 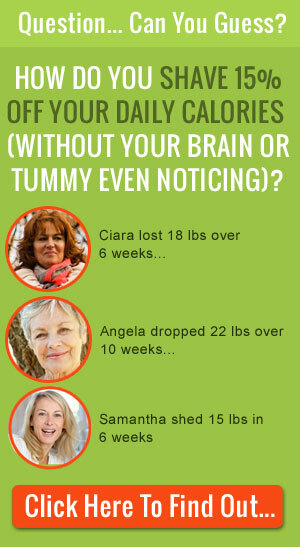 Never fear, pick up these store bought options to round out the meal and be sure there is enough for all. 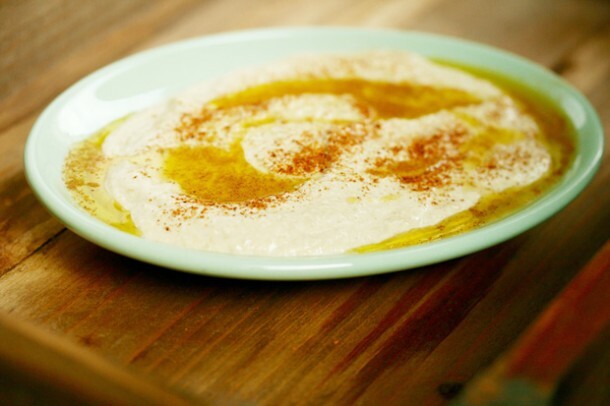 Store bought hummus is a healthy option made with superfood chickpeas that are high in folate (cancer prevention), manganese (heart protective), and fiber (steady blood sugar). Sweet summer fruit turns even sweeter when grilled. Pineapple, mango, apples, and even berry kabobs need only minutes on the grill before serving. Try my recipe for grilled mango with balsamic vinegar or make a set of adorable strawberry kabobs and top with a dollop of sour cream and toasted coconut. Try pairing a delectable white port with any of these tender grilled fruits.